Sanju has washed away all previous Bollywood records at box-office like a tsunami. 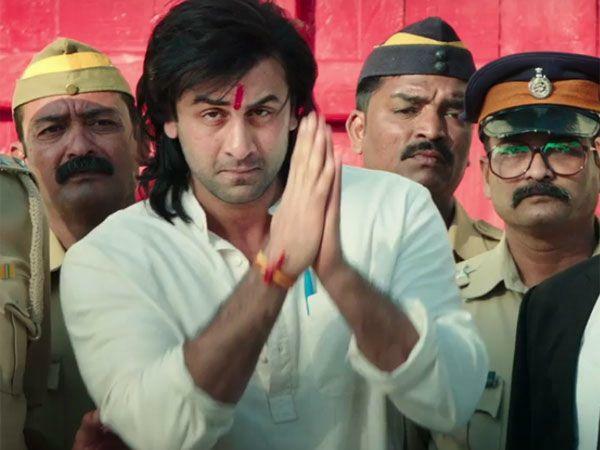 Sanju first weekend collections are eye-popping. The Ranbir Kapoor starrer grossed 120.06 crore over the weekend. Sanjay Dutt biopic directed by Rajkumar Hirani collected 46.50 crore on Sunday. Sanju beats single day highest record previously held by Baahubali2 (Hindi). Sanju collected 34.75 cr on opening day of Friday. On Saturday, the film collected Rs 38.60 cr. Sanju beats first weekend collections record of Padmaavat which collected 114 crore on 5-day weekende and Salman Khan’s Race 3 which collected 106.47 cr in first weekend.